Wellcomet (Wellness Cosmetic Medical Technologies) is a leading company that not only develops and distributes high-tech products for equipment-based cosmetics and medicine, but also designs professional, innovative treatment concepts for a wide range of needs. The company works on a sound scientific basis and is always at the cutting edge of technology. Wellcomet's very diverse range provides highly effective patented or patent-pending technologies which are applied both in the world of beauty and medicine and in pain therapy. Discover the world of Wellcomet! Regimented treatments are the ideal solution for acne patients who have to contend with stubborn bacteria in their skin, or for those seeking success from an anti-aging procedure. Though often scarce, time can no longer be an excuse. This portable innovation can easily be integrated into daily routines and, with its unbelievable 10MHz technology, offers a fantastic professional treatment potential for the home. Biophysical principles for body treatments: what role does a hyaluronan molecule play? 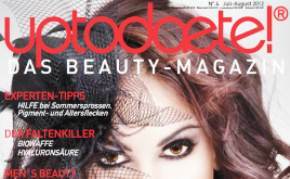 The latest publication by Dr. rer. nat. habil. I. Kruglikov in the American Journal of Cosmetic Surgery not only outlines the highest-tech, bio-physical principles of fat tissue, it also takes a critical look at the issue of "resistant fat deposits". In modern society, systematic and effective reduction is more important than ever. Read more about the latest scientific findings on this fascinating subject here. 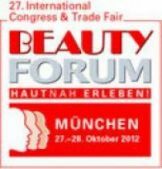 The Beauty Forum trade fair in Munich will run from 27 to 28 October 2012. The latest issue of Beauty Forum includes information on Skinova®, our new handy product that is revolutionising home treatments!